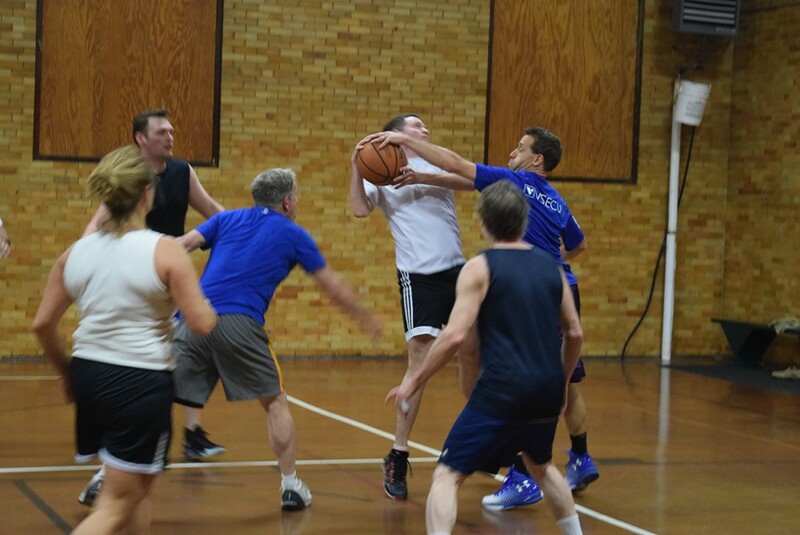 Peter Sterling (in blue) blocks a shot by Matt McMahon (in white) during a legislative and staff basketball game Friday. 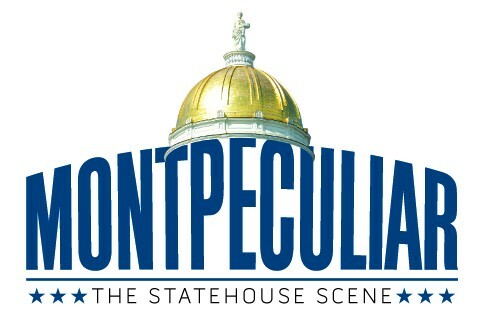 At 6:30 a.m. on Fridays during the legislative session, a ragtag collection of lawmakers, lobbyists and staffers convenes at a not-quite-regulation size basketball court in downtown Montpelier for a game of hoops. bbed the glory with a breakaway layup. But they also generously passed without regard for what their teammate might do with the ball. They forgave missed shots and errant passes and sometimes forgot to rebound, yet played with the earnestness of any National Basketball Association-aspiring 14-year-old in a park. While the players shed their suits for shorts, their personalities remain. They play the way they legislate. Rep. David Sharpe (D-Bristol), the quiet, intense chair of the House Education Committee, plays a quiet, intense and seemingly tireless brand of basketball. 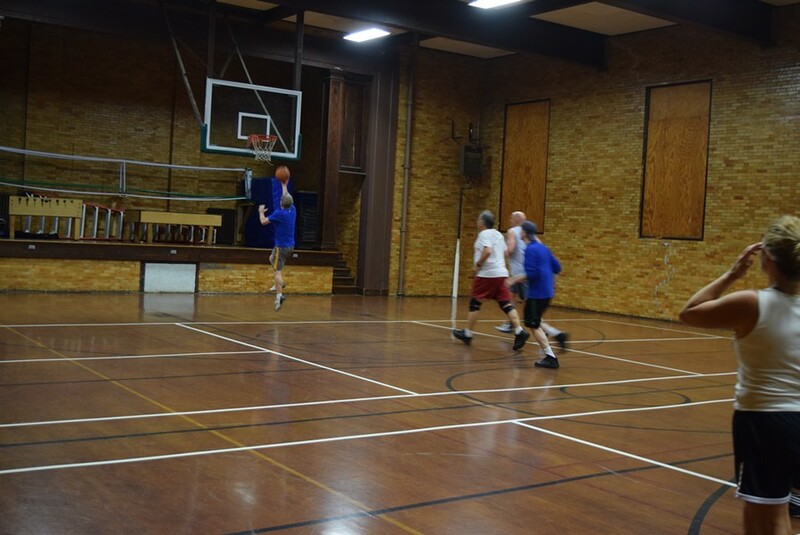 Rep. Mike Mrowicki (D-Putney), a laid-back liberal, runs the court with a similar at-ease gait. That is, right up until “he drains a three-pointer in your face because you forgot to pay attention to what he was doing,” said fellow player Rep. Sarah Copeland Hanzas (D-Bradford). Copeland Hanzas, the only woman who regularly makes the games, is as unfazed on the court as she is speaking up in the House chamber. Lobbyist Todd Bailey dribbles as lobbyist Kevin Ellis looks on. 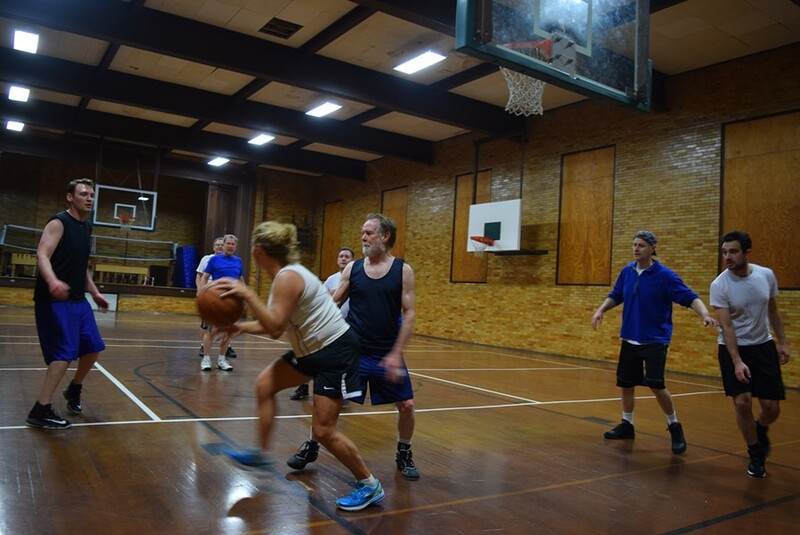 Peter Sterling, chief of staff to Senate President Pro Tempore Tim Ashe (D/P-Chittenden), drives to the hoop with intensity. He doesn’t take missing a shot lightly. In the Statehouse, Sterling is the chief mediator for senators. On court, he is the chief caller of fouls — including his own. 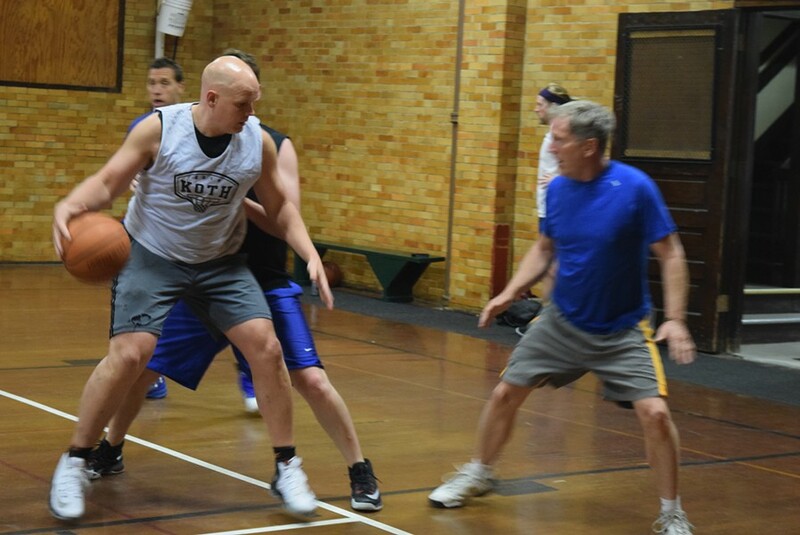 Rep. Matt Hill (D-Wolcott), a tall and soft-spoken newly elected member who looks thin in a suit, has actually got a solid build in basketball wear. To match his size, Copeland Hanzas recruited lobbyist Todd Bailey, who played at Johnson State College. Friday, Hill versus Bailey big-man matchups dominated the floor. They were among 12 players who showed up for the exercise at the Montpelier Rec Center. The group included four Democratic House members, three lobbyists, the pro tem’s chief of staff, a legislative lawyer, an assistant attorney general, a treasurer’s office staffer and me — a newcomer. Lobbyist Kevin Ellis hits a breakaway layup. No one had grilled me over my hoops credentials. No one said a word when I proved I had not done much dribbling since my mediocre high school basketball career, which was a very long time ago. But at 70, Sharpe proved age is not necessarily a barrier. “Dave Sharpe did a full-court press on me and stole the ball,” Copeland Hanzas said. Despite flashes of intensity, the point of the Friday morning affair was clearly not to put on a basketball clinic. Playing short games, to 15 baskets — or less when somebody got tired — allowed for multiple game-winning moments. Lobbyist Kevin Ellis claimed two game-winning shots. “If you write that up, I’ll rip up the page,” Sterling jested. 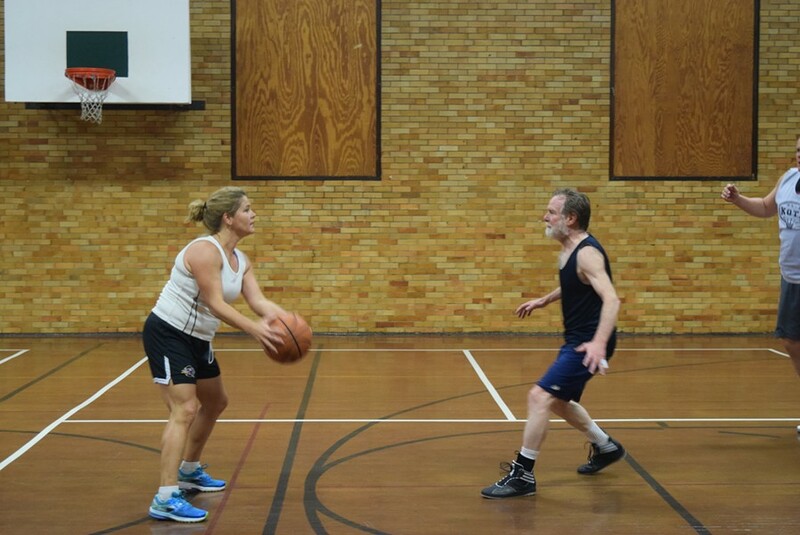 Rep. Sarah Copeland Hanzas dribbles past Rep. David Sharpe. Indeed. People who had passed each other in the Statehouse halls for years without a nod are on talking terms after sharing Friday morning sweat. Never mind the passes that never made it to their destination, the shots that shouldn’t have been taken. They were basketball buddies now. Rep. Sarah Copeland Hanzas looks to pass as Rep. David Sharpe defends.